Loch Lomond or “The Bonnie Banks o’ Loch Lomond” is a well-known traditional Scottish song. While there are many theories about the meaning of the song most remain unknown. It is believed that most of the meanings are connected with the Jacobite Uprising of 1745. 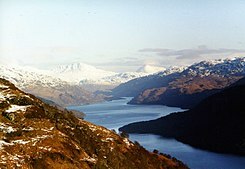 The song features Loch Lomond, the largest Scottish loch or lake. 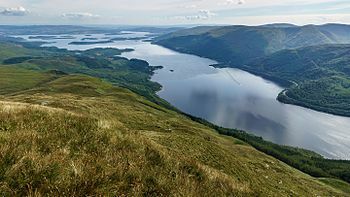 Loch Lomond is located between Dunbartonshire and Stirlingshire. The song was first published in the 1841 Vocal Melodies of Scotland. The melody of the song has become iconic and can easily stir images of Scotland in the mind. The song has been covered by my many artists over the years. A movie has also been made on the Loch Lomond legend.